Our texting tools allow donors to make donations quickly and easily, straight from their mobile devices. 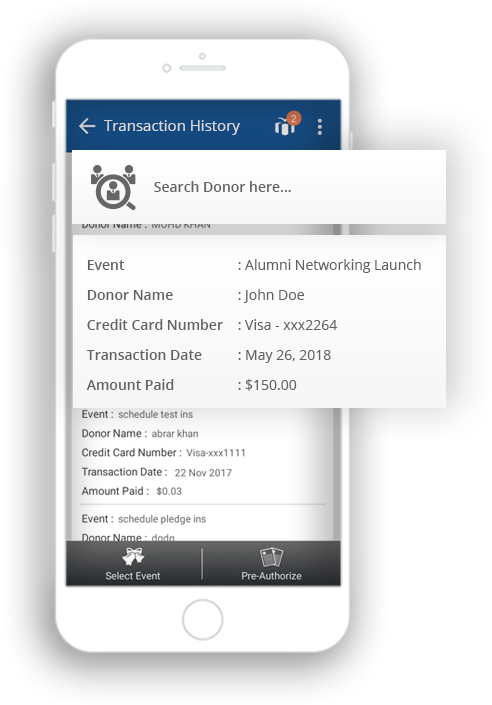 Text-to-Connect offers donors the option to input their information directly into your database. Text-to-Give allows donors to make a donation directly from their mobile devices, any time, anywhere. What is GiveCentral Text-to-Give & Text-to-Connect? These mobile giving options allow for quick and easy donations and instantaneous communication with your donors. 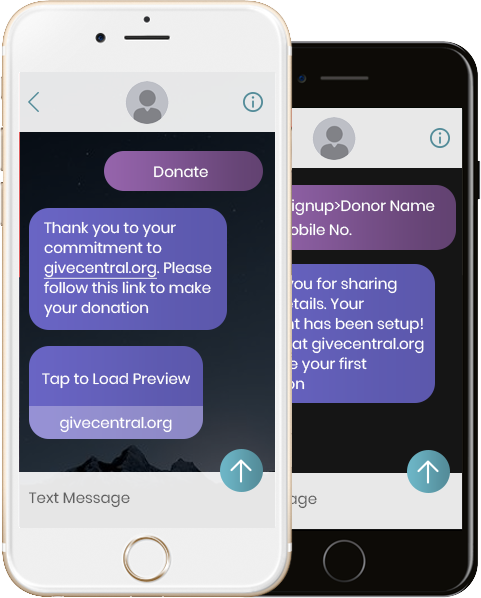 GiveCentral sets you up with your own unique texting numbers for Text-to-Connect, and donors can text you their primary information, like name and email. Text-to-Give allows donors to make a donation directly from their mobile devices. What Sets GiveCentral Text-to-Give and Text-to-Connect Apart? Giving should not be complicated. 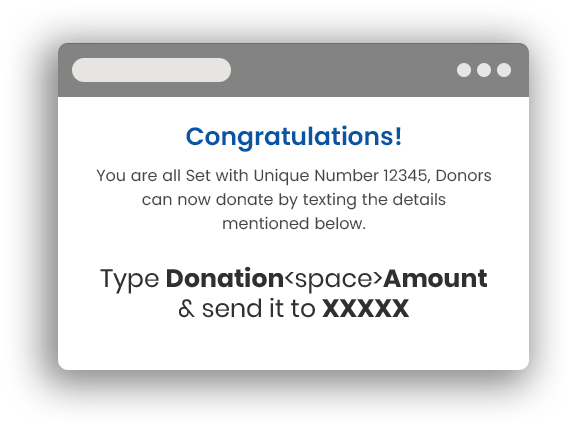 Our texting tools make it simple for donors to give without looking up from their phones. When donors update their information straight from their mobile device, you receive it immediately and can thank them promptly. When giving is convenient, your donations increase -- simple as that. We want you to grow your community and your donations. With Text-to-Connect, new donors can text you their basic information for your records (like name and email) which, along with their phone number, will be immediately stored in your database. Auto reminders can be sent to your donors who have subscribed for recurring donations and may have missed a payment. Reminders can also be sent when a donor’s credit card is set to expire. Using Text-to-Give, you can direct your donors to your unique fundraising pages. Donors text their information to your number and will automatically receive a thank you text with a link to your customized, mobile-friendly donation page, making it easy for them to give right from their phones! Watch how to use our texting features to increase giving and gather information.